Kelly Corrigan is the daughter of George Corrigan, a man who is popular with everyone ~ especially his daughter. She is also a wife and mother herself, but she mostly identifies with being "Greenie's" daughter. She even kept her maiden name because of her attachment to her father. When her father is diagnosed with cancer in the middle of Kelly's own treatment, she has to deal with both her own health as well as her worries about her father. I just didn't enjoy The Middle Place by Kelly Corrigan as much as I thought I would. It wasn't what I expected, I guess. I thought she would be in a "middle place" between being a parent and being a caregiver of her own parents. But that's not what this is about. Yes, she advocates for her father's cancer treatment, but she does not serve in a real caregiver role. I found the story to be much more focused on her extreme attachment to her father rather than her role as his caregiver. Actually, this is what I found the entire book to be about ~ her idolization of her father, which was just a bit too much for me. I appreciate the fact that she loves her father, but I thought there would be more feeling expressed about her own cancer and her fears for her own children. Instead, she spent more time worrying about her father's fate than her own. She barely touched on her own children and the fact that they could lose their mother. 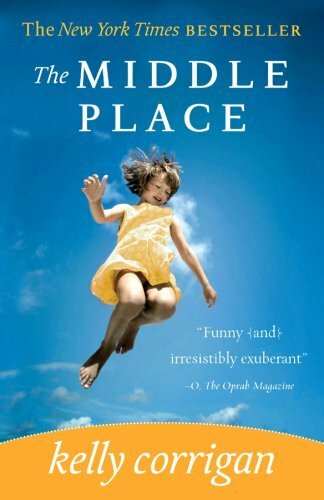 The Middle Place is an easy read and not nearly as depressing or upsetting as a book about a woman and her father having cancer at the same time could have been. I just didn't enjoy it as much as others seem to have. This review was written based on a copy of The Middle Place that I got through PaperBackSwap.com. Interesting review. I know some people have loved this book, but you make some good points here. I'd also be much more interested in hearing about being stuck in the middle of caring for parents and kids - we're at that point with my husband's parents (long-distance) and it's tough.